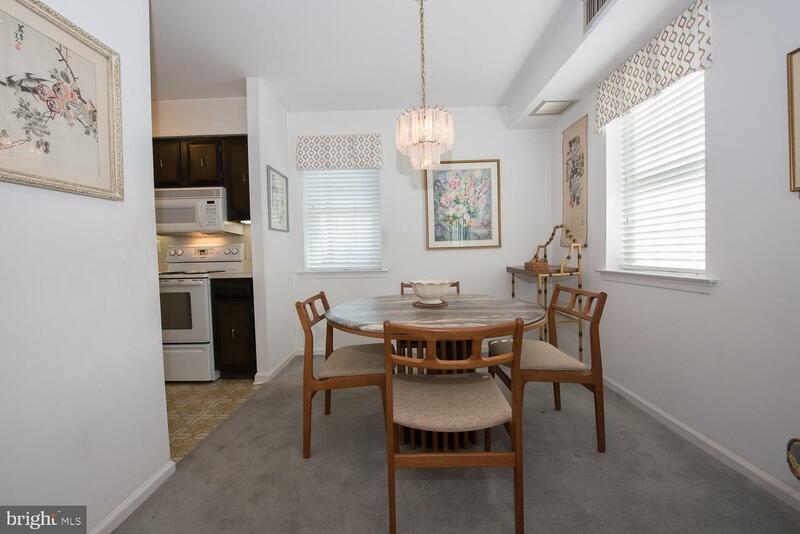 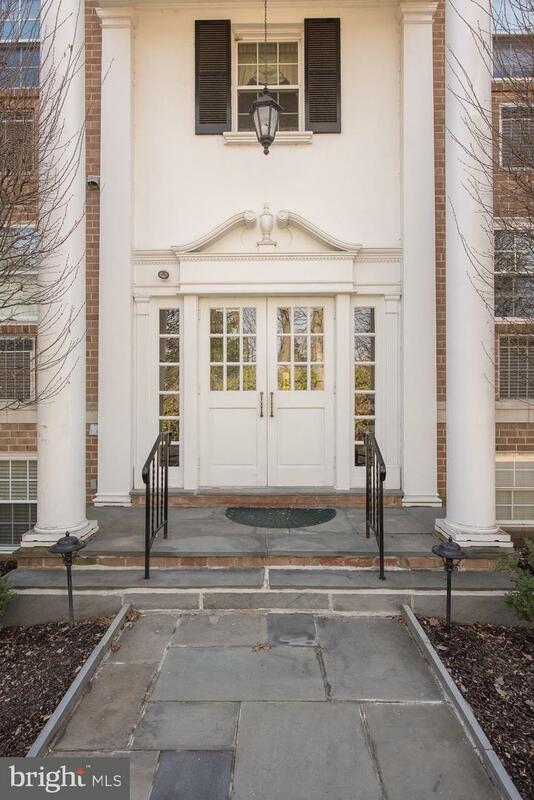 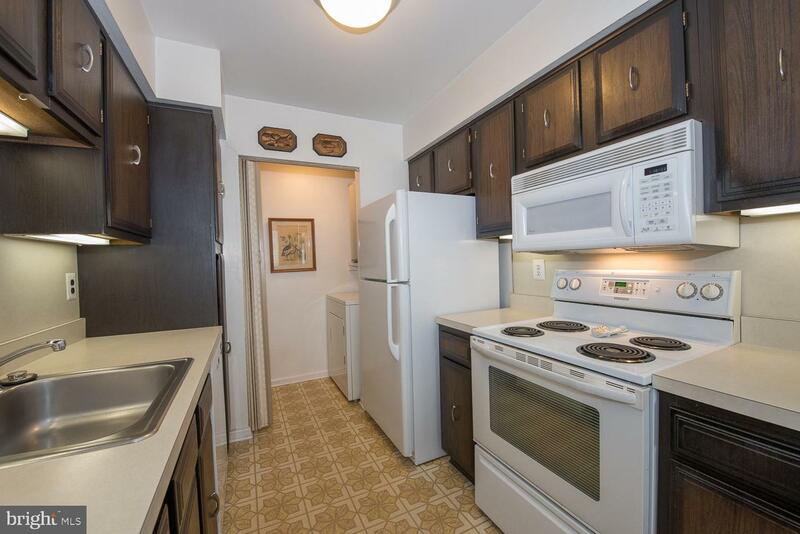 Welcome to 919 Montgomery Ave., #2-2 Ivyside in Bryn Mawr. 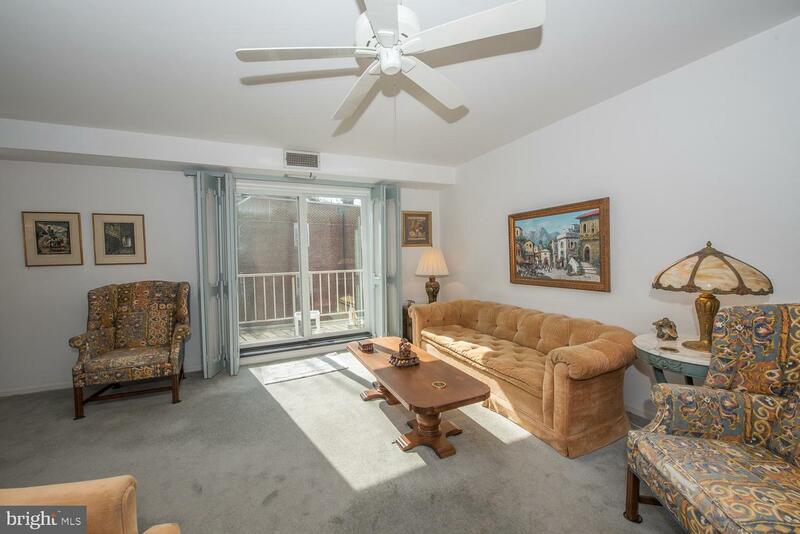 This sunny second floor 2 Bedroom, 2 Bath condo is situated in the north east corner capturing wonderful natural light and quiet surroundings. 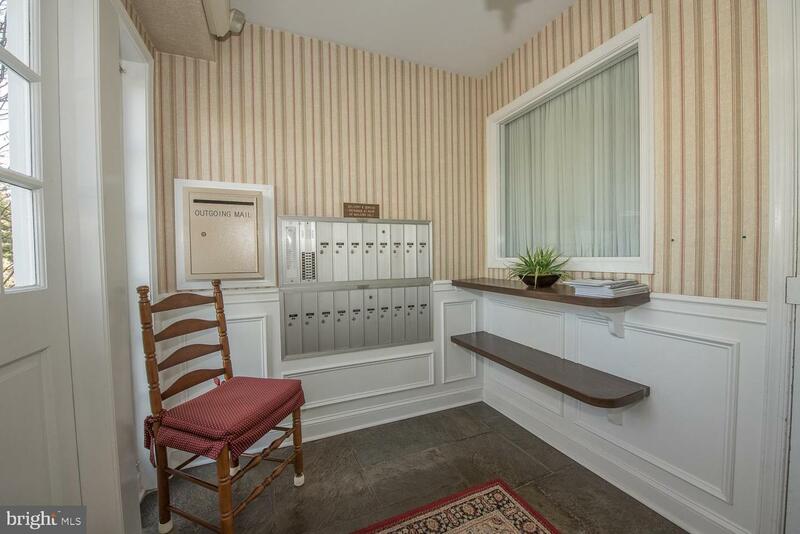 A secured front entry (equipped with intercom) welcomes you into an inviting front hall with wrapping staircase. 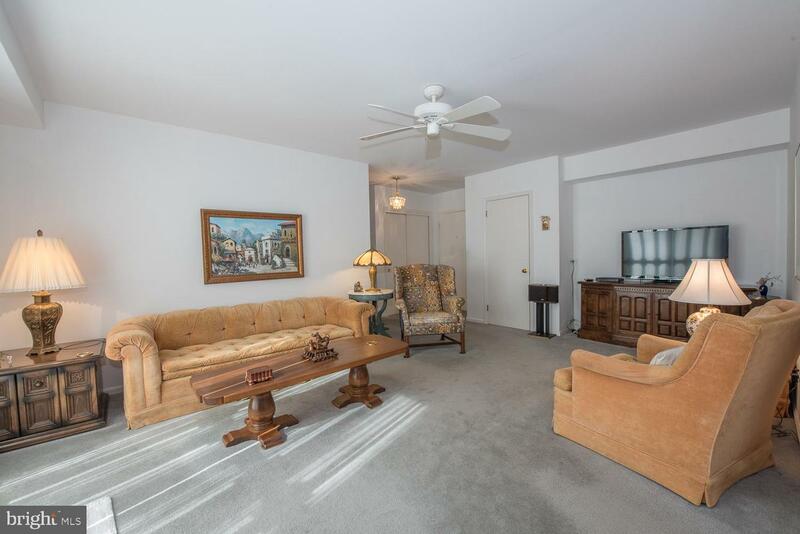 The Unit Foyer features 2 large closets and opens up to a bright Living Room and hallway to the 2 Bedrooms. 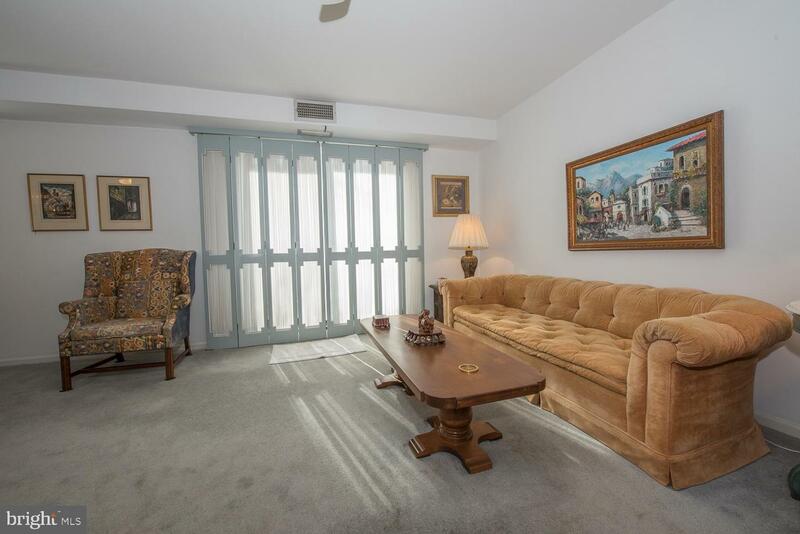 The Living Room has a sliding glass door with custom shutters which leads out to a private balcony. 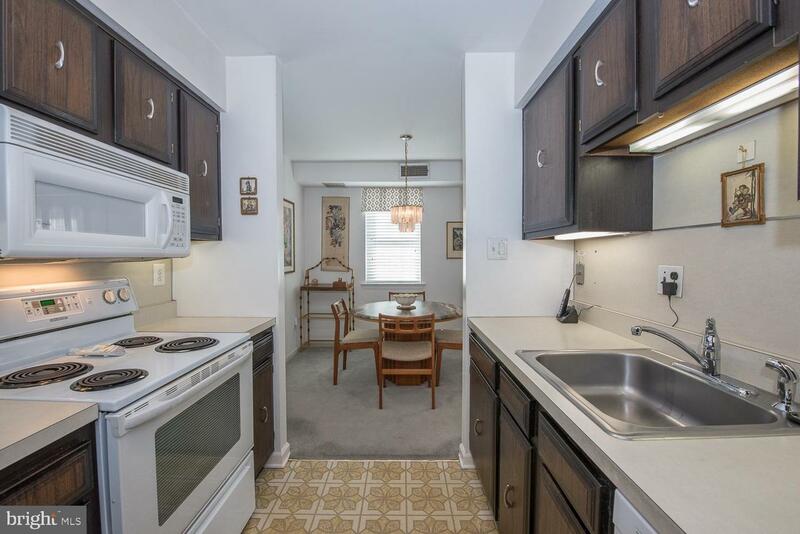 The charming Dining Room off the Living Room opens to the Kitchen featuring wood cabinets, white appliances and a laundry/utility closet. 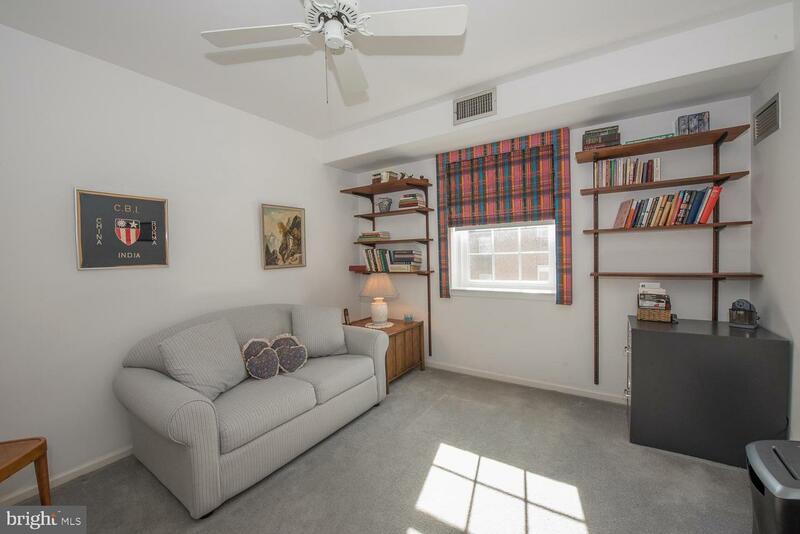 The spacious Master Bedroom offers a large walk-in closet, a second closet and a Full Bath ensuite with tiled shower, vanity, mirrored medicine cabinet and a linen closet. 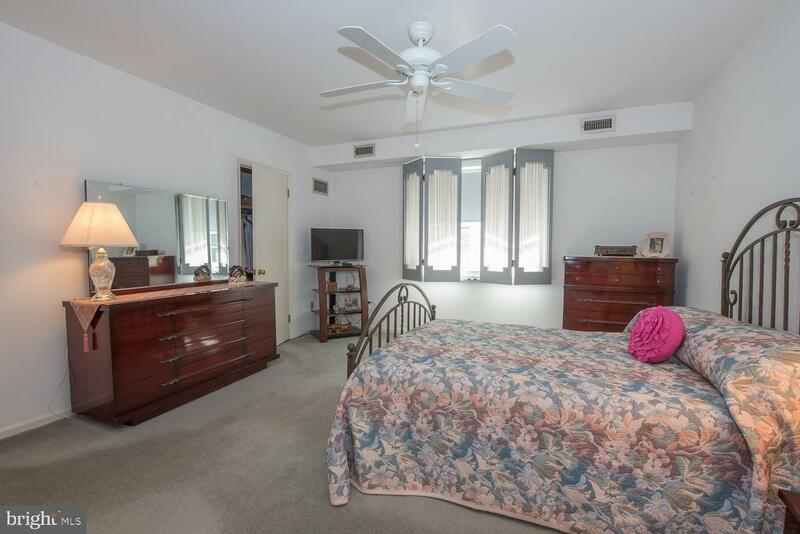 The Second Bedroom offers a large closet and is across the hall from the second Full Bath. 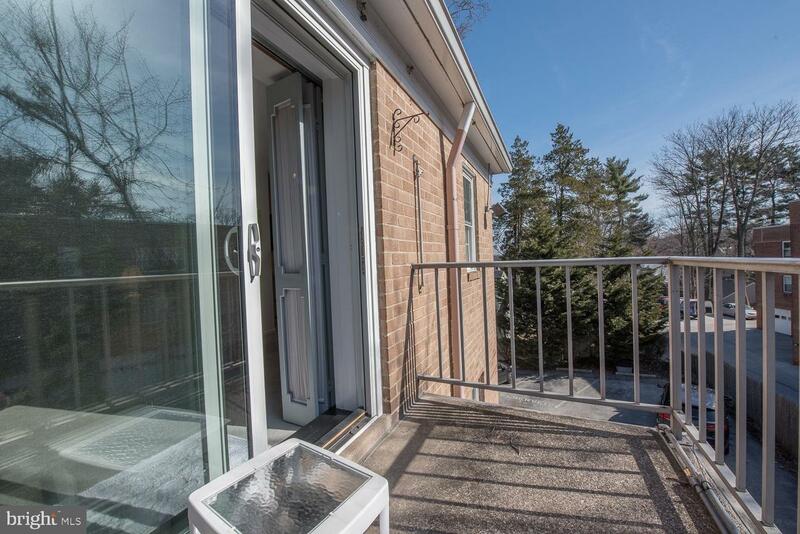 The Unit comes with 1 parking space and a storage locker in the basement level. 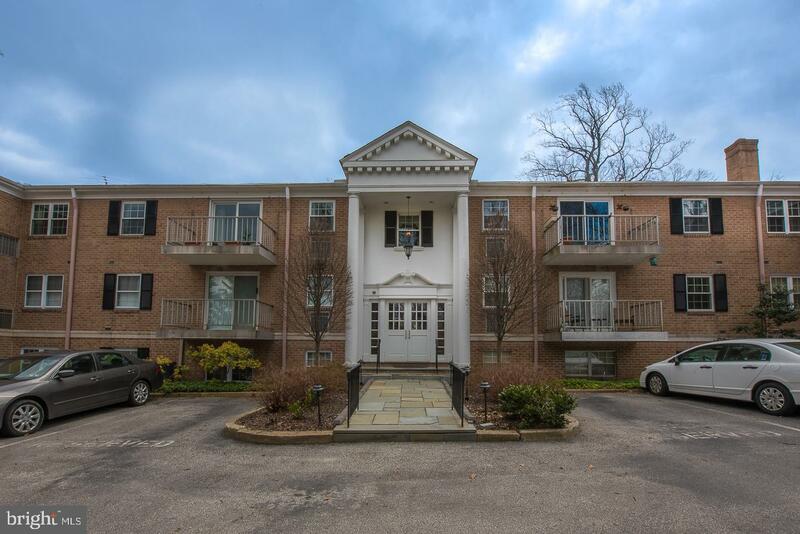 Ivyside is in the heart of the Main Line and is conveniently located to shops, restaurants, train station, hospital and medical offices. 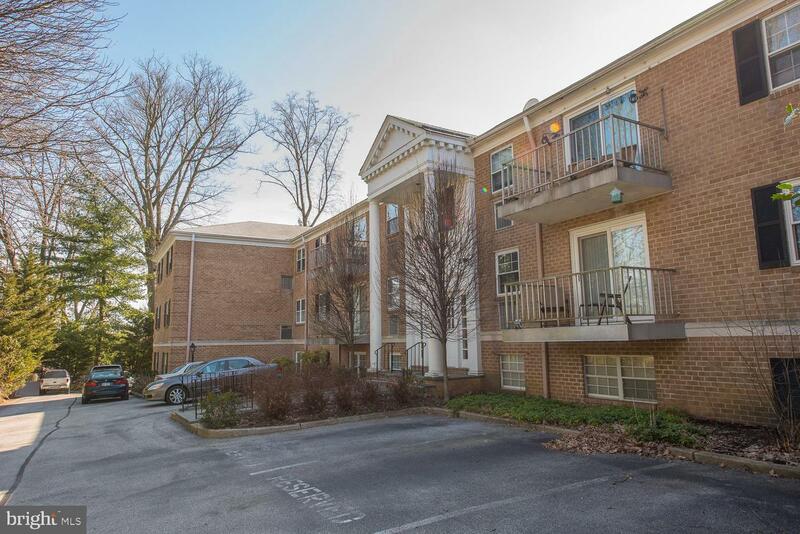 Contact Alex Begg for a showing today! 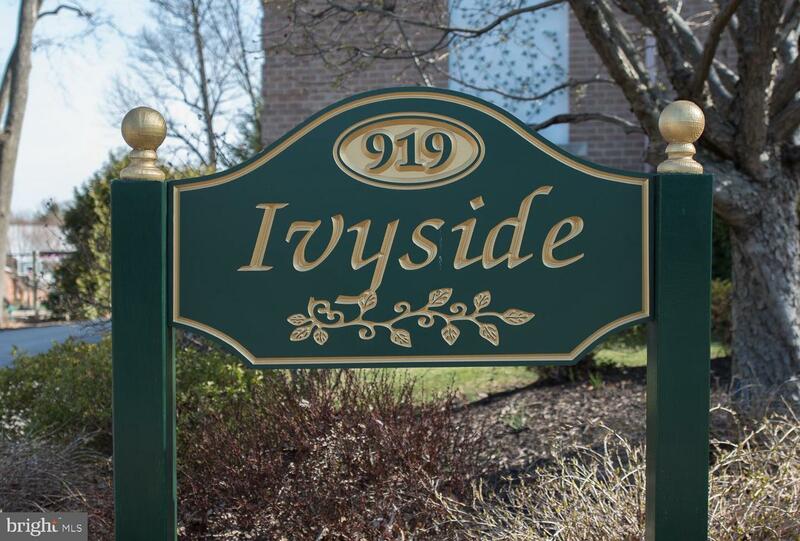 No pets or renters at Ivyside.